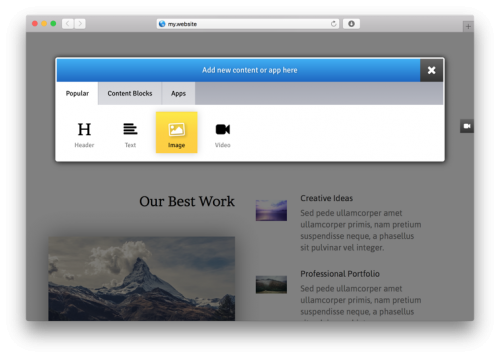 Easily add new contents to your website. 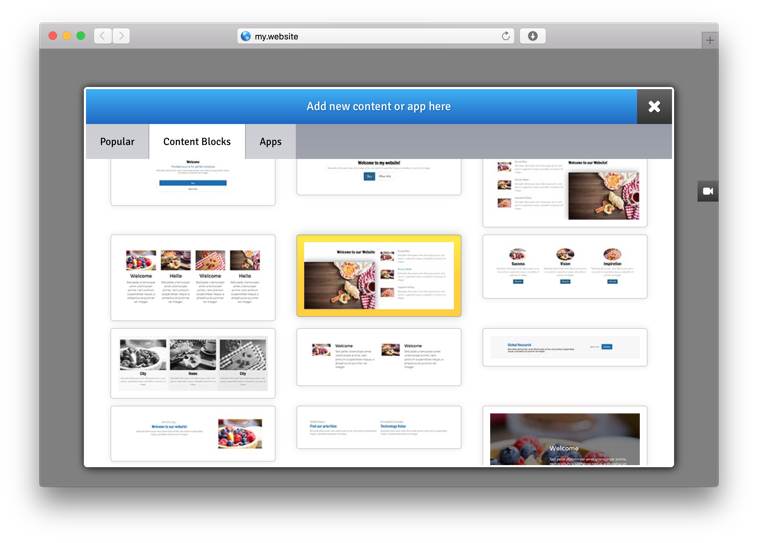 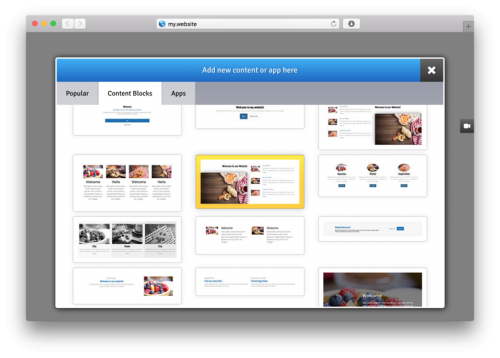 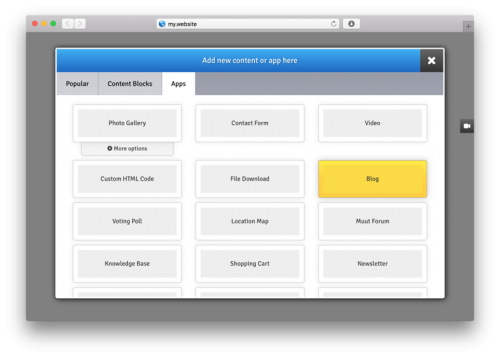 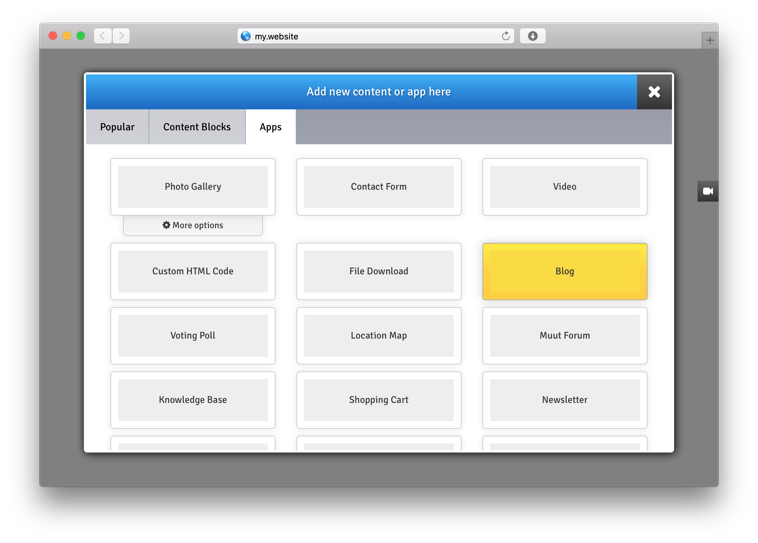 New Contents are separated into 3 tabs: Popular Items, Content Blocks of texts and Modules/Apps. 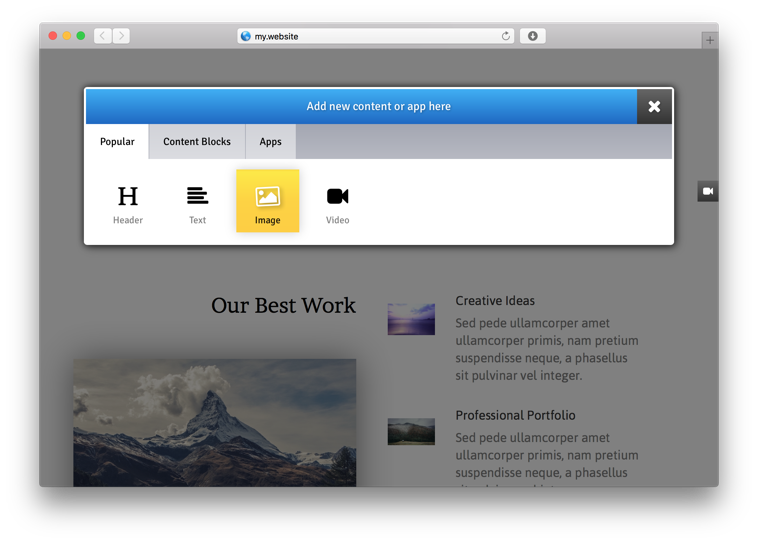 While editing your page, find any predefined Content Block which looks good for you, drag it into postion and just update it with your own text and photos.